Over the next two weeks I have a very special treat for RxTrace readers. It is an interview with Ken Traub, GS1 standards expert and independent consultant. The subject is GS1 serial number randomization, something so important that I think pharma companies ought to give deep thought to it before they turn on their serial number applications. Pharma manufacturer who sell into the E.U. and/or Brazil markets will be forced to randomize their serial numbers because of regulatory requirements, but even those who only sell into the U.S. market should strongly consider randomization. I’ll have more to say about why in a follow-up essay after this series is over. There is a new and valuable resource available for anyone who needs to make use of both GS1 RFID and GS1 barcodes–or even just one or the other–on any product or shipping container and in any supply chain. 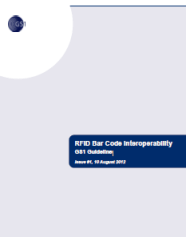 It is called “RFID Bar Code Interoperability, GS1 Guideline” and it is available as a free PDF download here on the GS1 website. This is a guidance document, which means that it isn’t a standard itself but draws contents from GS1 standards documents to better explain the subject. In this particular case it draws primarily from the GS1 General Specifications and the Tag Data Standard. Both of those source documents are huge and so you will find this new guidance document a relative joy to read if you need this kind of information. 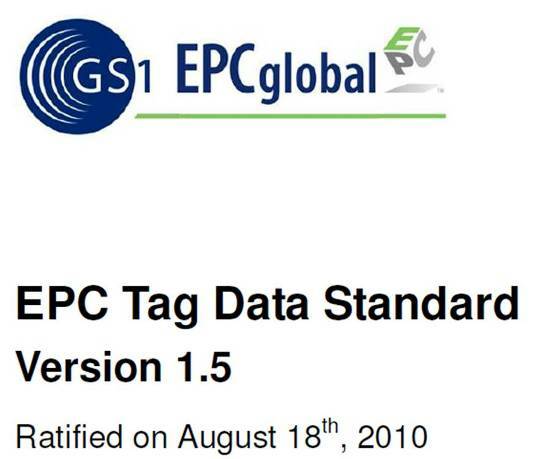 GS1 EPCglobal ratified and published the most recent version of the Tag Data Standard (TDS), 1.5. I have always been a fan of TDS, but earlier versions served as much to expose embarassing disconnects in GS1 standards as they did to explain how to apply GS1 identifiers in an Radio Frequency IDentification (RFID) context. Earlier versions of TDS tightly bound the concept of the Electronic Product Code (EPC) to RFID, and that’s just wrong. “EPC”, even as defined in those earlier versions of TDS, is a way of uniquely identifying objects on a global basis. It’s purely a globally unique identifier standard. That’s a hugely important and relatively new concept. RFID–a simple data carrier technology that’s been around for many years–is almost insignificant in comparison.